I started with a store bought version of non-dairy cream cheese that blew my mind. 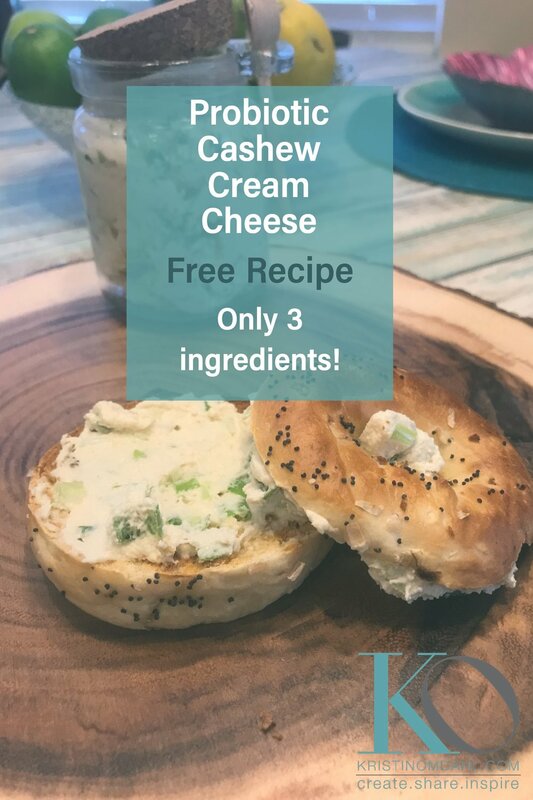 I was excited to see if I could combine my love for making probiotics with my love for cream cheese and add the additional challenge of making it dairy free. And as much as I love cream cheese, this was an exciting challenge. The key to getting the tang that we love about cream cheese is in the fermenting process. Soaked cashews make a very creamy consistency but I wanted the tang, too. So adding the fermentation step was vital. It can take anywhere from 24 - 48 hours, depending on the conditions in your home and your taste preference. But it is super simple to make, and can be flavored in dozens of ways. This recipe yields 2 cups of cream cheese. Based on a 1 TBSP serving, you will get 16 servings from this recipe. 1. Soak the cashews overnight in water. 2. Drain the cashews. Add to blender or food processor with the yogurt and salt. Blend until smooth. 3. Transfer to a clean container and cover. Let sit out at room temperature for 24 - 48 hours. Use a clean utensil to taste the mixture at 24 hours, add more salt if needed. And let culture sit another 12 -24 hours if more tang is desired. 4. Store in refrigerator for up to 1 week. You can add any number of flavors to this cream cheese. 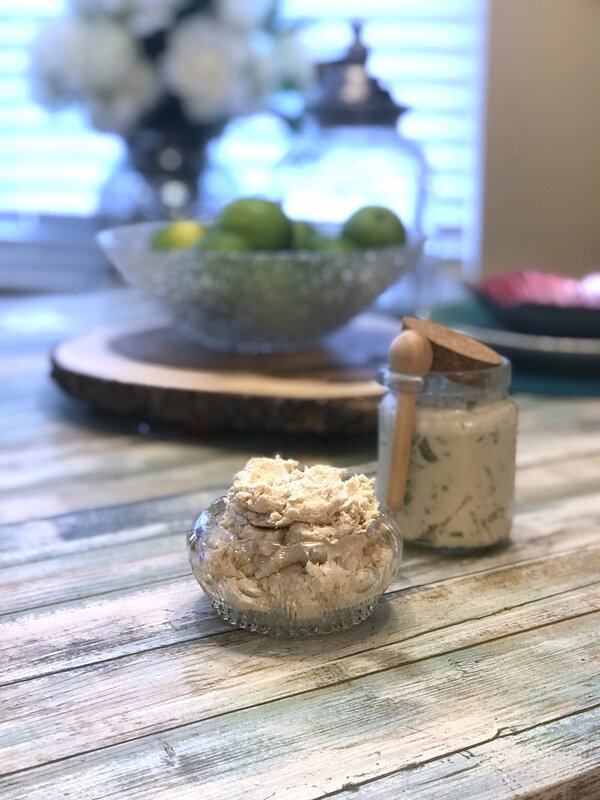 It can be used to shmear on any baked goods; it can replace cream cheese in recipes like jalapeno poppers, and it makes a great dip for pretzels or crudite, too! I love adding scallions and chives for a classic savory flavor. Or chopped smoked salmon and fresh dill for a brunch shmear. Chopped sundried tomatoes folded in make a beautifuil and delicious spread. Honey and cinnamon swirled makes a great sweet spread, too! 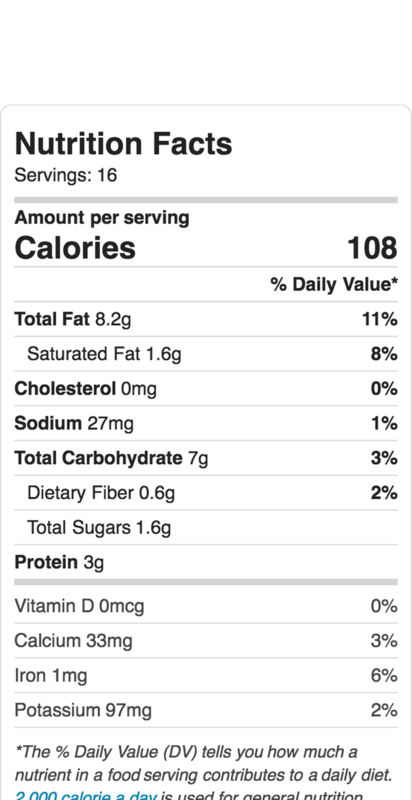 I love this on sprouted grain toast for breakfast.